Matt Tavares was born in Boston, Massachusetts in 1975. Matt wrote and illustrated his first picture book, Sebastian's Ball, as his senior thesis at Bates College. Three years later, after much revision, Sebastian's Ball became Zachary's Ball, his first published picture book. Zachary's Ball went on to win an Oppenheim Gold Seal Award, a Massachusetts Book Award Honor, and was named one of Yankee Magazine's 40 Classic New England Children's Books. 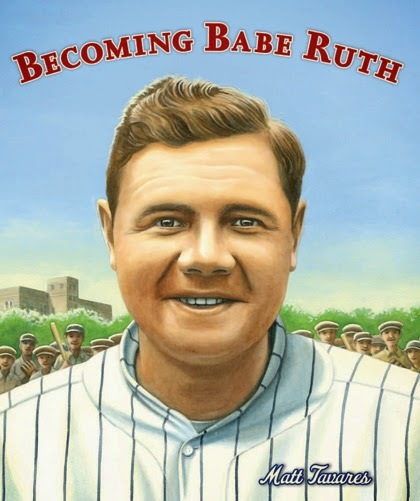 Since then, Matt has published fifteen more books: he is the author-illustrator of Growing Up Pedro, Becoming Babe Ruth, There Goes Ted Williams: The Greatest Hitter Who Ever Lived, Henry Aaron's Dream, Mudball and Oliver's Game, and the illustrator of Jubilee! by Alicia Potter, Over the River and Through the Wood by L. Maria Child, Helen's Big World, by Doreen Rappaport, Jack's Path of Courage: The Life of John F. Kennedy, written by Doreen Rappaport, The Gingerbread Pirates, by Kristin Kladstrup, 'Twas the Night Before Christmas, attributed to Anonymous, Jack and the Beanstalk, by E. Nesbit, Iron Hans: A Grimms' Fairy Tale, retold by Stephen Mitchell, and Lady Liberty: A Biography, by Doreen Rappaport. Matt lives in Maine with his wife, Sarah, and their two daughters. 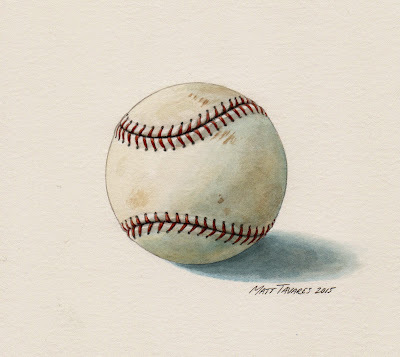 Matt describes his dot "My celebridot is a painting of the baseball that inspired my first book, Zachary's Ball. In the summer of 1995, I was walking near Fenway Park before a game, and saw a ball land in the net above the green monster as I was passing underneath it. I decided to stop and see if any more home run balls came over the wall. I had only been there for about a minute when another ball came flying right over the net. It bounced a few times and settled into a ditch next to the sidewalk, where I picked it up. 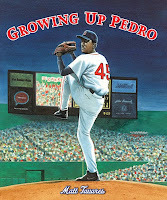 A year later I started working on my senior thesis, a picture book about a boy who gets a magic baseball at Fenway. Since this ball sparked the idea that started my career (and since it happens to be dot-shaped), I thought it would be a good subject for my celebridot." Learn more about Matt on his website. Matt, what a PERfect Celebri-dot for this time of year :) And I loved hearing your answers to these questions. Great stuff!